Professor Chetwyn Chan is a pioneer in his field—one of the first to integrate academia with the community. Driven by his strong belief that academia should pivot on the wider community, his research efforts revamp the traditional concept of rehabilitation, firmly establishing rehabilitative community services as an integral component of modern healthcare. A distinguished figure in the community, Prof Chan serves diversified leadership roles in both administration and academia. He is presently the Associate Vice President (Learning and Teaching), Chair Professor of Rehabilitation Sciences, and Director of the University Research Facility in Behavioral and Systems Neuroscience at The Hong Kong Polytechnic University (PolyU). 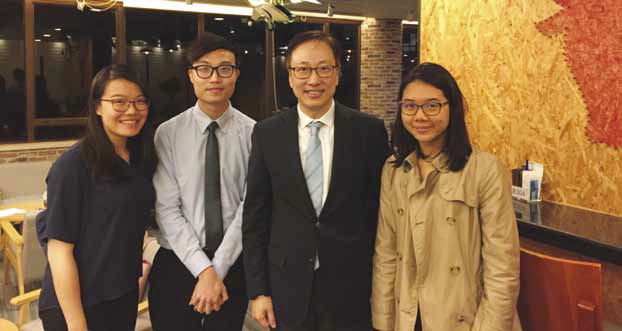 Outside of his official duties, he is perhaps more well-recognised within the community as the Vice-Chairman of the Executive Committee of The Hong Kong Society for Rehabilitation (HKSR). “I don’t believe academia is limited to only research,” Professor Chan asserts. “Academia must not neglect social needs.” It appears that few university graduates actively participate in Hong Kong society, and he considers this a pitfall of the tertiary education system. Unwilling to fall into this trap, he takes a further step, using PolyU as a cradle for knowledge transfer. After 3 years of clinical practice as an occupational therapist, Professor Chan pursued a PhD in Educational Psychology. He then became a scholar and researcher at PolyU and invested his efforts in psychology and rehabilitation sciences. One of his main research areas is post-stroke rehabilitation; an interest driven by a vision of creating a paradigm shift in the community of stroke patients: from engaging in activities of daily living to autonomous and independent living. “Things don’t happen easily with a mere desire to take an extra step”, Professor Chan concedes, “it is important to choose to do something that society truly needs and is willing to receive.” His interest in helping disabled individuals coincided with an unmet gap between post-stroke patients being discharged from hospital and their leading a meaningful and productive life. Rehabilitation services were often delayed, offered long after discharge from hospital, and the services themselves were limited to the bare essentials. Aside from the institutional shortcoming, there was a lack of patient awareness. Post-stroke patients seemed to be led to believe that the basic services provided by the Hospital Authority were adequate, and they were unaware of needs- and community-based rehabilitation services that are crucial to attain the goal of independent living. For instance, vocational rehabilitation is pivotal in enabling young post-stroke patients to regain a worker role in the family. Activity and participation have become the cornerstones of the contemporary rehabilitation recommended by the International Classification of Functioning, Disability and Health (ICF); however, the Hospital Authority and post-stroke patients appeared unmotivated to fund or purchase such services. There was a profound need to develop rehabilitation services in conjunction with official healthcare services. The field of rehabilitation has evolved greatly over the past 30 years. In the past, it was little more than an afterthought. In an ageing population and with younger onset of some chronic illnesses, rehabilitation has developed into an integral part of the patient healthcare journey. Current stroke rehabilitation services provided at the Hospital Authority focus on conventional skills training, helping patients regain their ability to perform activities of daily living through repeated practice. However, when patients are exposed to a different scenario in the community, it is difficult for them to turn their training into actual coping skills. To tackle this challenge, Professor Chan, with his doctoral students, constructed the first self-regulated learning protocol. The value of this protocol in helping post-stroke patients to regain lost daily activity skills has been validated in a series of randomised controlled trials. This day-to-day intervention protocol consists of a three-stage training programme based on cognitive neuroscience knowledge-task chunking, self-referenced appraisal, and mental rehearsal. Self-regulated learning allows patients to be more aware of their strengths (abilities) and weaknesses (disabilities), so they can address new scenarios through integration and synergy of skills they have learned or regained. This, as noted by Professor Chan, is a good demonstration of pushing the limit of the patients’ frontal cortex to produce the executive functions necessary for achieving independent living in the community. Using his knowledge of self-regulated learning and the ICF model, Professor Chan established comprehensive rehabilitation services for post-stroke patients in the HKSR. 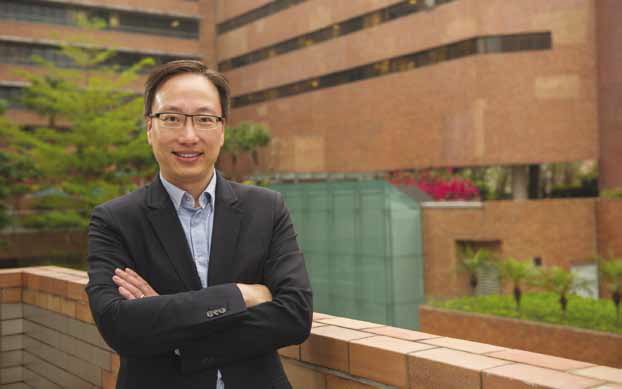 Professor Chan found that this was as a great platform to bridge the divisions between academia and community, as well as his interests to find solutions for addressing patients’ needs in the community. The HKSR wholeheartedly embraces the mission of providing community-based rehabilitative services for patients with chronic diseases. Patients who have suffered from stroke are one of the core groups benefitting from its services. The new service focuses on the activity and participation needs of post-stroke patients and, in particular, their return to work and community living. With this service and the self-regulated learning strategy, post-stroke patients benefit from a greater capability to work and live independently, as well as contribute (rather than be a burden) to the well-being of their families and communities. By taking many carefully considered extra steps, Professor Chan is transforming the post-stroke rehabilitation services that were once an afterthought into a full-fledged framework with holistic care. However, patient awareness of the new services is still lacking, and rehabilitation services remain disconnected from hospitals. Professor Chan continues to work hard, hoping to generate sufficient evidence and impact with the new services, so that the government will adopt the new service model into the health system. Professor Chan hopes, one day, to see hospital- and community-based rehabilitation services in parallel, as a cohesive whole.